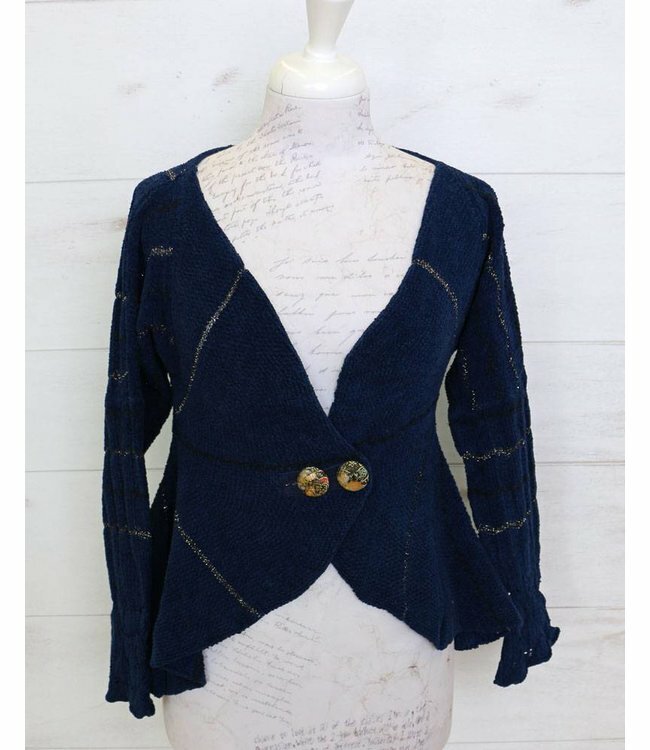 Feminine, short jacket in dark blue. The jacket is fitted at the top and widens out and is rounded off towards the hem. The fabric is a fine cotton knit that feels soft against the skin.